Happy Friday! Today I've rounded up a few Friday Favorites I've been loving lately, including one of my favorite gifts us girls are giving Dustin for Father's Day this year! It's hard to believe we're already 10 days into June. Poppy is 9 months old today and I still wonder how time could possibly be passing this fast. 1 // We spend so much time outside during the summer, especially during the afternoon once the girls wake up from their naps and we have some downtime before dinner. Olivia loves trail mix of any sort (we call it "pup mix" because my dad always called me pup as a little girl and now he calls Olivia that) and it's been so much fun to let her build her own with a little trail mix station. 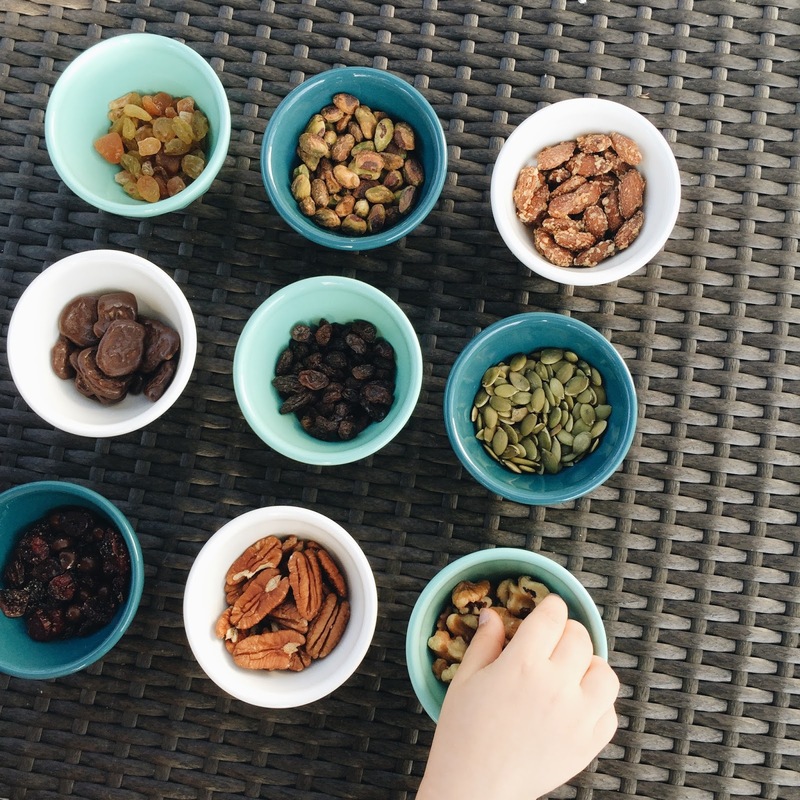 I usually pack trail mix in Dustin's lunches as well, so I set up bowls with different nuts, dried fruit, etc and after Olivia fills a little bowl with her own creation for a snack, I let her fill a few containers for Daddy for the week. These mini latte bowls make it extra fun and are the perfect size for her little hands. 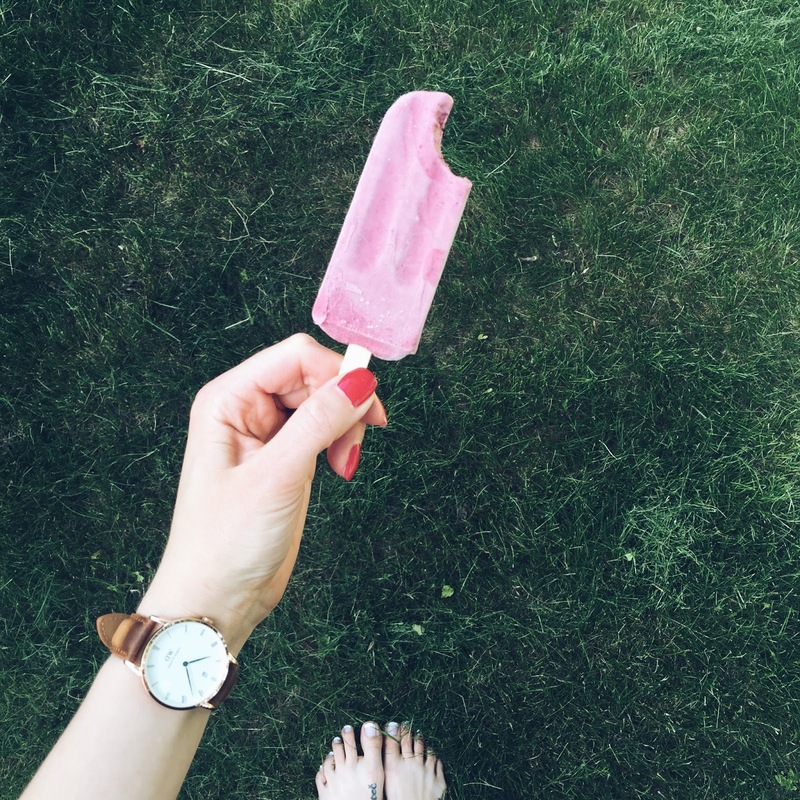 2 // We have been spending a lot of time grilling lately being that our kitchen is under renovation and dessert for us these days is almost always our favorite popsicles. I really want to try making our own this summer, I know Olivia would love that. These blueberry rhubarb breakfast pops look so yummy and so do these blackberry cheesecake ones. 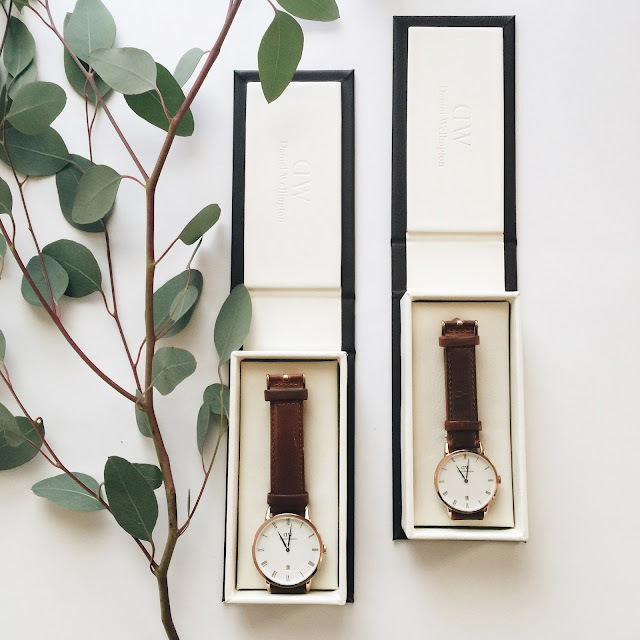 3 // This Father's Day is certainly the most special yet and I wanted to find something that Dustin would not only love but that would be memorable and practical so we're giving him a Daniel Wellington watch. I have a matching one and love the rose gold and blue hand detail. His is slightly larger the mine and can be shopped here. Mine can be found here. They are classy and timeless and I love the look of the weathered leather straps and the minimal face design. Being that he asked for a weed whip for Father's Day (thrilling, right?! ), I'm pretty sure he's going to be surprised and love his new watch! You can save 15% off your DW purchase through June 30 using the code BLESSEDNESTBLOG at checkout. 4 // Olivia's favorite thing to wear every day is a dress, anything she can twirl in. I recently got this linen dress for her and love how classic and almost old-fashioned looking it is. It would be so darling paired with this one for us Mamas.